Interview about Soul Scars with local radio show "The Matter at Hand" on WGRC, based in Lewisburg, PA. Find out the motivation behind the book and the message it holds. Julie Landau — "It was such a blessing to be in the studio that day." 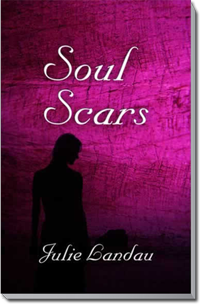 Article from local news paper, "The News Item", in Shamokin, PA.
Julie Landau — "I really appreciate the writer of the article and his words about Soul Scars." Named after the North Star that guided slaves towards freedom along the Underground Railroad, Polaris Project has been providing a comprehensive approach to combating human trafficking and modern-day slavery since 2002. It is the vision of Pregnancy Care Center to present a choice for life for every woman, giving opportunity at life for every child, teaching a Christ-centered life for every family.